MySleepyFerret » Sleep Guides » What Is The Best Sleeping Position? There are a lot of different positions you can sleep on your bed. If you’re having a difficult time doing so, you’re in the right place. Your sleeping position may differ depending on your particular preferences or need. for example, someone who is struggling with snoring is better off sleeping on their side or on their stomach than on their back. Another example is if you are pregnant, you may want to lay on your left side in a curled up fetus position as to not put undue pressure on your liver. So what position or posture is best for you? In this guide, we look at the three major sleeping positions and which might be best for your particular need. There are three main positions when it comes to sleep: on your side, your back, and on your belly. Let’s take a closer look at each one and what they can do for you. Sleeping on your side can have a lot of benefits. often times, we find side sleeping being recommended as the best position for many reasons. For one thing, your spine is elongated and more or less in a neutral position without pressure. If you have back or neck pain, this can help alleviate any stress in those areas. sleeping on your side also helps reduce snoring and keep your airways open. For those struggling with sleep apnea, being on your side will be crucial to ensuring you get the best quality sleep and rest. Snoring also puts your epiglottis on its side and from blocking your airway. The epiglottis is responsible for preventing food and liquid from entering your lungs, but when you lay down, can obstruct your airway. We also find sleeping on your side reduces acid reflux, with gravity working to your advantage by keeping the contents of your stomach pooled away from your esophagus. The drawback to sleeping on your side is that it can cause wrinkling and acne as your face is pressed against your pillow, closing pores and getting dirty if your pillow isn’t frequently cleaned. One thing to quickly note is if you sleep on your side, be sure to use a thick side sleeper pillow to support your neck. If you’re curious about what the best side to sleep on, because of how the insides of our body is arranged, it’s said to be on your left side. Sleeping on your left side helps with digestion as your stomach and its gastric juice content pools away from your esophagus (if you have heartburn or acid reflux, this is important!). It’s also important for pregnant women for when their uterus gets bigger and begins to press on their liver, which is on the right side of the belly. Sleeping on your back is one of the most neutral positions you can be to relieve pressure on many parts of your body. When you lie on your back, your head, neck, and spine can rest with minimal pressure exerted on them. Your back remains straight, not twisted or curved in any way, and for some people a pillow may not be necessary. Unlike sleeping on your side, you won’t find your facial pores collecting dirt or clogged with oil by your pillow. Your bodyweight is evenly distributed and spread across the maximum surface contact your body can have with your mattress. This means less pressure overall compared to other sleeping positions. Sleeping on your back can also slightly reduce acid reflux depending on the elevation of your head. You can also expect better posture relief as your shoulders are no longer rolled forward or suffer from slouching back as you sit and stand during the day. The drawback with sleeping on your back is that it can make breathing much more difficult for those with sleep apnea. As a matter of fact, it’s highly advised against as a sleeping position because your tongue and epiglottis both get in the way of your breathing. This sleeping position can also cause more severe snoring. However, with the right elevated pillow, sleeping on your back can get better. Being on your belly is one of the least popular sleeping position. while it can be good for reducing snoring, it puts a lot of pressure on your neck and back. Sleepers who prefer being on their stomach tend to turn their neck in one direction. With elevation from a pillow, this can put a lot of undue stress on the neck, and on your back and spine. With your head elevated, you can expect your back to be curved. The majority of your body weight as you lay in bed is coming from your hips, which sink the center of your body into your mattress. Sleeping on your belly can also be especially bad for moms-to-be because the baby can get squeezed between the mom and mattress, affect their development in a negative way or putting their baby in danger. Despite our concerns and warnings, if have trouble sleeping any other way, there are a few things to help ease the pressures placed on your back, neck, and spine. For one thing, you can use a thin pillow such as one made with down filling or down alternative filling (microfiber) or no pillow to relieve pressure on your head and neck. The thinner the pillow the better it will be. You can also place a pillow underneath your pelvis to elevate the hips and alleviate some pressure placed on your back. It’s one thing to say that sleeping on your side is generally the best. It’s a different story when we dive deeper into a specific circumstance you are facing. Sleeping in the wrong way can put unnecessary stress and pressure on your body parts, including your back. Although there is no one-size-fits-all sleeping position for back pain, there are certain places you can put a pillow to help take some pressure off the back. If you sleep on your side, bringing your knees slightly closer to your chest and adding a pillow between your knees can reduce pressure from the hip area exerted onto your back. For back sleepers, placing a pillow underneath your knees as you lay flat can help straighten your spine in a natural way. The hips tend to be where our center of gravity is and can cause your back to curve uncomfortably. We don’t recommend sleeping on your stomach, but if you must, an extra wide pillow underneath your pelvis and lower abdomen can elevate the hips and reduce some pressure. If you don’t have an extra pillow handy, a rolled up towel can do the trick as well. Neck pain is tricky because it’s highly dependent on the pillow you are using and less about your sleeping position. In which case we recommend for you to check out our guide on pillows for neck and shoulder pain. Your pillow can be too thick, too thin, too soft, too firm and can suddenly throw your neck out when you wake up the next day. The worse part of it is when you have to go back to sleep knowing that you very much will wake up with neck pain once more. If you haven’t already, consider replacing your pillow. Cervical pillows specifically designed to provide full contact support of your neck’s cervical vertebrae can also help, and we wrote a buyer’s guide on the best pillows for that, too. Let’s come back to sleeping positions and how we might be able to alleviate neck strain and pain. We also wrote a mega guide on how to choose the right pillow for sleep, so be sure to check that out as well. If you sleep on your side, a thicker pillow to keep your neck and spine leveled is important. The exact thickness will depend on the distance between your ear and your mattress as you lay down. For back sleepers, a thin to moderately thick pillow (less thick than pillows for side sleepers) can provide adequate support. If you must sleep on your stomach (which we don’t recommend), a super thin pillow or giving up on the pillow completely is best. You can also elevate your upper abdomen with a pillow underneath it to reduce pressure on the neck. Snoring is a common behavior as the slightly obstruction of breathing during sleep can lead to the sign. However, it can be a symptom of a far more dangerous disorder. Obstructive sleep apnea (OSA), a type of sleep apnea disorder, are long periods of breathlessness where your airways are partially or completely obstructed. If you haven’t already, please get checked out by a sleep specialist if snoring is prevalent, you find yourself excessively sleepy during the day, or your sleeping partner notice you have periods of sleep without breathing. As for a suitable sleeping position, it’s not recommended to sleep on your back as gravity works against your epiglottis and closes your airways. The best sleeping position for snoring and sleep apnea would be on your side. With the right pillow and mattress, we can reduce the severity of snoring and the dangers of breathlessness for people with sleep apnea. You can also prop yourself up with pillows built for snoring or own an adjustable bed to keep your head above your heart level. It can get extremely uncomfortable carrying around all that new weight. Sleep can get painful as well as we try to roll around and find the most suitable sleeping position only to be frustrated that every position doesn’t help alleviate the pain and suffering of being pregnant. Luckily, there are sleeping positions that can help you, as well as things we can do to help you sleep better. So what sleeping positions can you use? Sleeping on your side is the most recommended position as you can place the extra weight that is carried by your body off to it the side. With an adequately thick pregnancy pillow underneath your belly, you can take most of the weight off your body and back. If you find yourself with heartburn sensation, you will need to elevate your upper body so that your stomach is below your esophagus. You can sleep on either your side or your back for the acid reflux as long as your upper body is elevated. Memory foam wedge pillows can maintain its shape and do the trick. For shortness of breath, sleeping on your side or being propped up with pillows while on your back or side can help take pressure off your lungs and diaphragm. As for insomnia, whatever position works or can help you sleep the best is worth sticking to. The only thing worth noting is that it isn’t recommended to sleep on your belly because it can be dangerous for the baby, even if you are in the early stages of pregnancy. It is recommended you get used to sleeping on your side and back, with elevation and extra pillows for support. Sciatica is the pain of the sciatic nerve that goes from the lower back down to the back of each leg. This pain can vary from an electric shock or jolt-like feeling, tingling or numbness, a mild aching pain, or an excruciating pain. Sciatica is found affecting people between the ages of 30 to 50, and women are likely to develop this medical condition during pregnancy because of the pressure of her developing uterus pressed against the nerve. The most likely cause of sciatica is due to spinal disc herniation. Given what we know, what is the best sleep position for sciatica? Like a broken record, we want to emphasize that if you find a position that works for you, then stick to it is your best bet for sleep. Nothing can beat the comfort of a sleep position that helps you through sciatica. However, one of the best recommended sleeping positions would be to lay on your back. Laying on your side also works. When you lay on your back, your mattress will take some pressure off the nerves. To relieve even more pressure, you can put a pillow underneath the knees to reduce it even further on the hips and lower back. If you sleep on your side, try bending and pulling your top knee toward your head. you can also place a pillow underneath your hips and knees to alleviate some pressure. There are a lot of causes for shoulder pain, and the pain can get frustrating very quickly. If you recently injured yourself, please see a physician to get checked for any breakage or rotator cuff injuries. As for sleeping position, both sleeping on your back and shoulder can be best. You can place a pillow underneath the shoulder(s) for extra cushion. Be sure to try different pillow thickness. The idea is to take the pressure on the shoulder’s tendons against its underlying bone. Sleeping on your side works if you only have one bad shoulder so you can sleep on the opposite shoulder for now. It’s best not to sleep on your belly because of the unnecessary pressure placed on your neck which can pull on your shoulders. Sleeping on your front can also let your shoulders droop forward and cause more pain. Tossing and turning during the night is expected and normal for most people as the body becomes sore if it doesn’t shift around from time to time, but it can aggravate shoulder pain. What you can also do is wrap your shoulder and entire arm in a sling to alleviate some pressure and minimize movement during sleep. You can also ice and stretch your shoulders before bed and after you wake up to help with the pain. Sinusitis, also known as a sinus infection, is the swelling of nasal sinuses and its passages. This usually feels like pressure on nose, eyes, forehead, stuffed nose, and thick mucus. If you have allergies, it can be even more aggravating. Being under the weather with a runny nose and cough doesn’t help, either. So how can we sleep in a way that will help our congestion and sleep better at night while we are sick? Prop head up for congestion relief, elevating with a pillow or two so that your head is above your heart, reducing blood flow pooling in the nose area and making you feel uncomfortable from this pressure. Sleeping on your stomach can also be helpful as it can help drain mucus out of your nose, but we wouldn’t recommend staying in this position too long because of the pressure on the neck, back, and spine. You can also place a pillow underneath your abdomen and raise your head a little more with an extra pillow or two. Whether you have stuffy sinuses or nose, a runny nose, or cough, sleeping on your side can help relieve congestion. if you have trouble staying on your side, consider a thick cervical pillow or memory foam pillow with a body pillow to keep you in place. Elevating your head as you lay on your side can help clear congestion and make it easier to cough with slightly less strain and work on your lungs. If you find your nose is feeling dry during the night, keep your nasal passages moist with saline spray, rinsing sinuses with a neti pot, and use a humidifier during the night (especially important during dryer, cooler seasons). The steam from a hot tea and drinking more liquid in general can also provide some relief for runny nose, coughing, and sneezing. We don’t recommend laying down at all after eating. You will want to wait until the food in your stomach enters your digestive tracts. This usually takes an hour or two, and will ensure a much better digestion and quality of sleep. If you find yourself in need of rest, then the best thing you can do regardless of sleeping position is to elevate your upper body as much as you can. This will help keep your stomach gastric acid where it is, and provide relief if you suffer from heartburn and acid reflux. Using any number of pillows necessary is great, and having a wall to lay against will be especially helpful. You can also use a wedge-shaped pillow or thick memory foam pillows to help with elevation. Both side sleeping and back sleeping are fine as long as you can elevate yourself significantly higher than how you normally sleep. There are only so many sleeping positions you can try. If you have tried using pillows and switching up your sleep position, then it can very well be your bed. Mattresses should be changed every 5 to 10 years because of they wear and sag over time. This can create many uncomfortable and awkward angles for the body to rest in, causing aches and pain. Your body also changes completely every 7 years, and aging can also affect your sleep. If you think it’s time to replace your mattress, head over to our ultimate guide on how to pick the right mattress for your particular need. 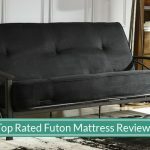 We look at the many different types of mattress materials, the special little details you can watch out for in mattresses, and five tips on how to choose the right mattress for your sleep. Is It Bad To Stay Up All Night? What is the Most Comfortable Way to Sleep? Are Adjustable Beds Worth the Money? 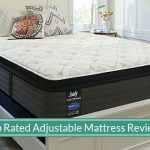 Do Adjustable Beds Stop Snoring? Does Green Tea Make You Sleepy?